This is Lilly! This photo was taken by Image Makers. I pulled it offline from their website here. 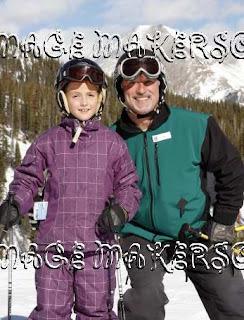 Lilly is becoming an awesome skier. Last year she was in the Mountaineers program. She thinks her instructor was either Brad or Susan. It was a pleasure skiing with her yesterday (Sunday). Lilly’s dad was surprised when I came out for the lesson. He said if he’d known I taught “kids” he would have requested me. Lilly is actually considered a Junior in our ski school. So, yes, I do teach kids from 7 to 99!